Fugitive caught at Walmart Supercenter in Vero Beach, Florida. VERO BEACH – Last week, the Vero Beach Walmart Supercenter notified the Indian River County Sheriff’s Office about shoplifting taking place. “They advised that a man had concealed a black BB gun in his clothing and was about to exit the store. Deputies arrived on the scene as the man exited the store,” Major Eric Flowers told Sebastian Daily. Flowers said the suspect fled east from the store, leading deputies on a foot chase through construction areas and unfinished buildings. 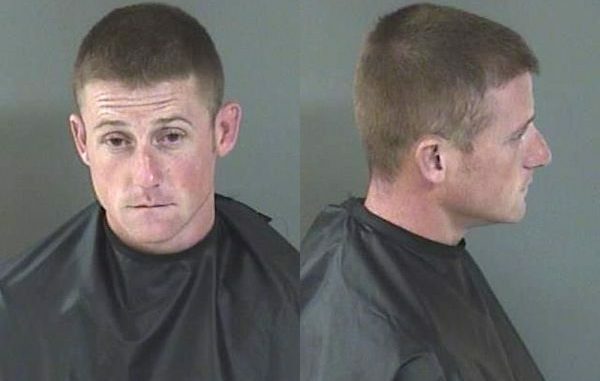 Deputies chased him for more than a half a mile through trees and two small retention ponds, eventually apprehending him. The man, later identified as Kenneth Fitzgerald, 31, of Kentucky, continued to resist deputies even after being handcuffed, kicking at the deputies. Deputies found a loaded .25 caliber pistol, three homemade suppressors, 130 grams of crystal methamphetamine, small amounts of LSD and marijuana, a digital scale, and counterfeit money. The stolen items were recovered in the construction area, and his vehicle was seized from the parking lot. 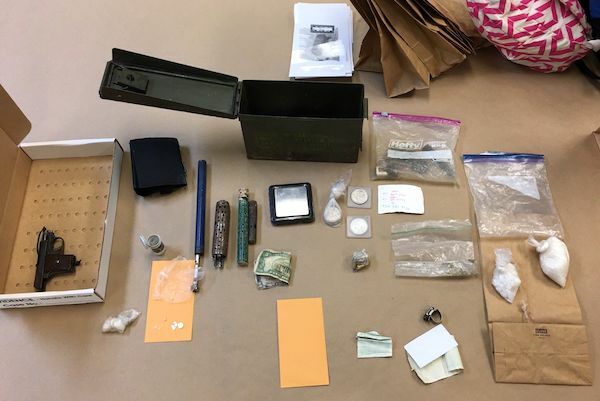 Deputies obtained a search warrant for the vehicle, where they located a loaded .25 caliber pistol, three homemade suppressors, 130 grams of crystal methamphetamine, small amounts of LSD and marijuana, a digital scale, and counterfeit money. Deputies learned that Fitzgerald was wanted out of Kentucky for grand theft over $10,000 and absconding parole. He was listed as potentially armed and dangerous and has numerous previous convictions for violence against first responders. Fitzgerald was booked into the Indian River County Jail on charges of resisting arrest with violence, trespassing on a posted construction site, and retail theft. He is being held without bond at this time. Additional charges are pending for the items recovered in his vehicle. Law Enforcement from Kentucky called to thank our agency for apprehending this dangerous wanted felon. “The apprehension of this man was a true team effort by our deputies and detectives. We are glad Fitzgerald is off the streets and behind bars where he belongs. Thanks to our men and women who put their lives on the line every day to protect our community,” Indian River County Sheriff Deryl Loar stated.